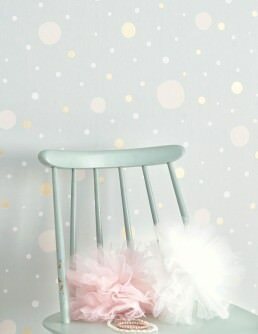 The language of children is vibrant and colourful, it paints a thousand pictures in bright colours and imaginative shapes, it develops and invents and tells fabulous stories. 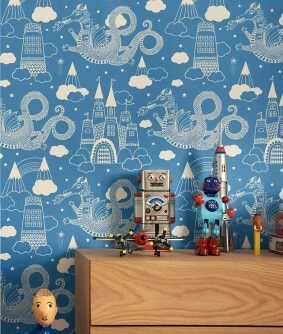 Kids’ wallpapers that inspire and move are the specialty of the Swedish label Majvillan. 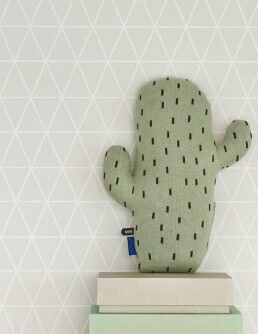 Inspired by the designers’ own childhood dreams and experiences, the pictorial language of the 70s, and a childlike joy of discovery, the patterned wall coverings by Majvillan tick all aesthetic boxes, whilst simultaneously taking into account children’s individual interests. 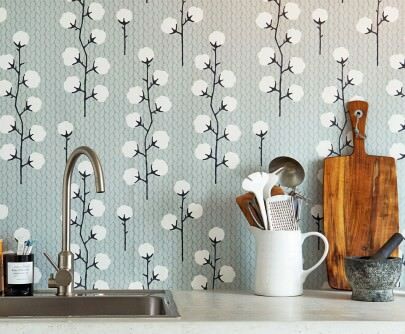 These fab designer wallpapers depict a plethora of creative adventures within their motifs. 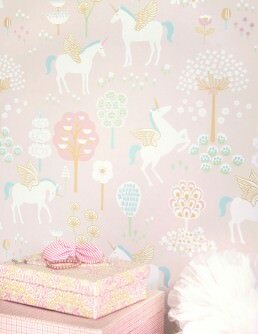 Big tops, elephants, forest landscapes and many other fresh phantasy designs provide the perfect backdrop for playing and foster the creative development of your child. 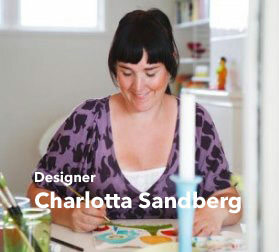 Colours and patterns are Swedish artist Charlotta Sandberg’s metier. 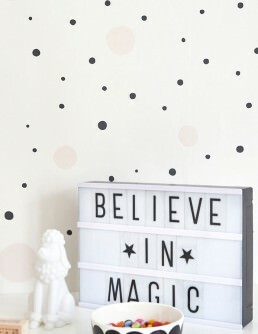 The creative head behind the Majvillan label loves nothing more than to create small individual worlds which provide the perfect background for daydreaming and the development of the imagination. 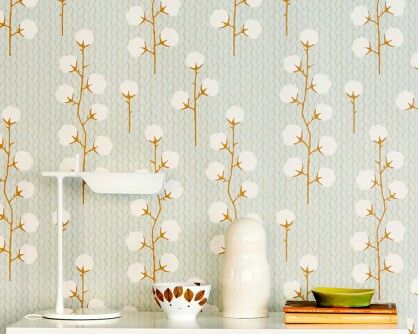 The mother of two has chosen children’s wallpapers as her main focus as its boundless potential cannot just be admired on the wall, but is reflected in the children’s active enjoyment. 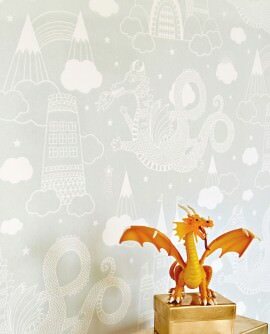 Majvillan wall coverings for kids frequently combine a crisp clean white with bright and exhilarating colours. 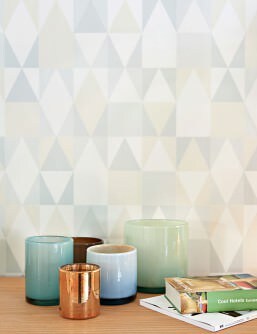 The exuberant hues and patterns of these popular designer wallpapers manage to simultaneously fill a room with a sense of peace and quiet. 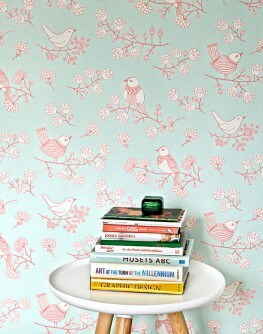 Happiness, warmth and utter comfort – these are the messages of Majvillan kids’ wallpapers. 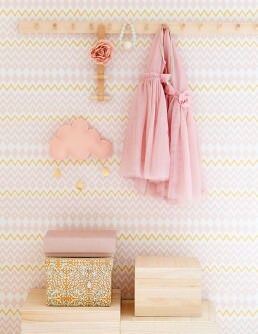 Wallpaper that stimulates the entire being – children experience their environment with their senses, but it is the sense of touch they explore the most. 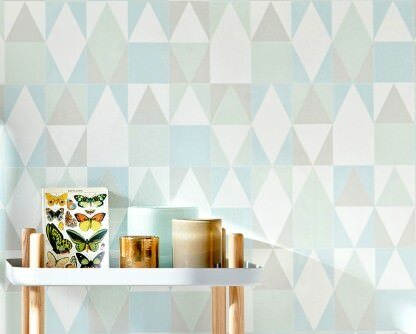 This is why Majvillan children’s wallpapers are extremely tactile: the high-quality paper surfaces provide a haptic experience, and the colours and patterns take the child on a journey of discovery. 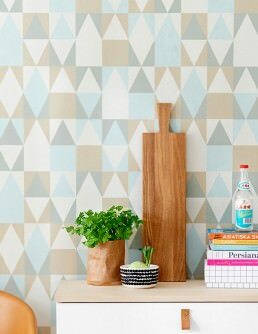 The emphasis on environmental consciousness means that children and their parents can enjoy the wall décor without being exposed to hazardous substances and add another feather to the splendid Majvillan cap. 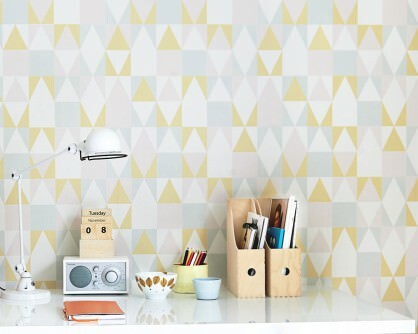 Discover these Swedish patterned wallpapers which are bubbling over with kid-like zest for action and will enable your children to create their own imaginary worlds in the safety and comfort of your home.